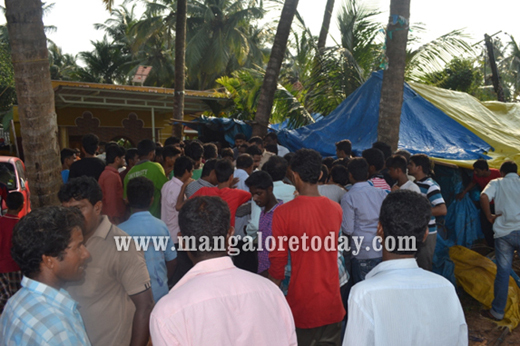 Kundapur, Oct 16, 2014: Residents of Kharvikeri in Kundapur strongly suspect foul play behind the death of 25 year old Pramod Kumar Kharvi, a sand mining worker. 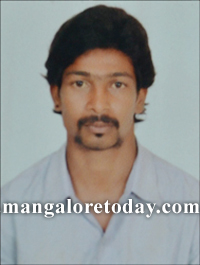 His body was found in Panchagangavali river on October 14 , Tuesday afternoon. 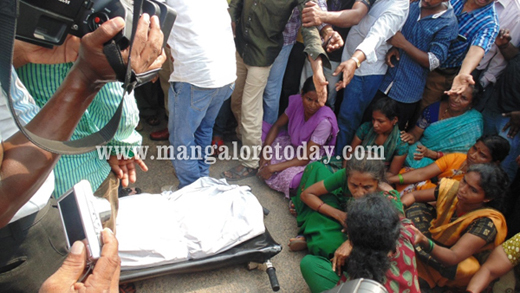 The suspicion of the locals is that Pramod was attacked and killed by the owner of the sand mining boat and others who had a discord with him. They also state that it was a pre-planned murder. 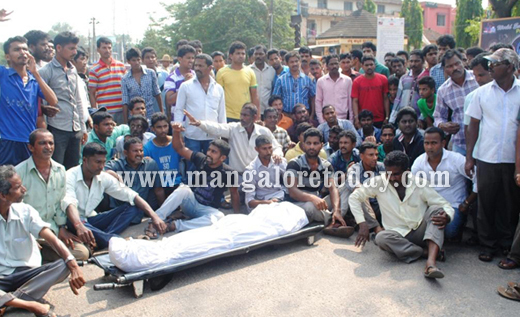 The resident placed the body of Pramod at the junction at Shastri Circle and staged a protest on October 15, Wednesday demanding justice and immediate arrest of those responsible for the death of Pramod. 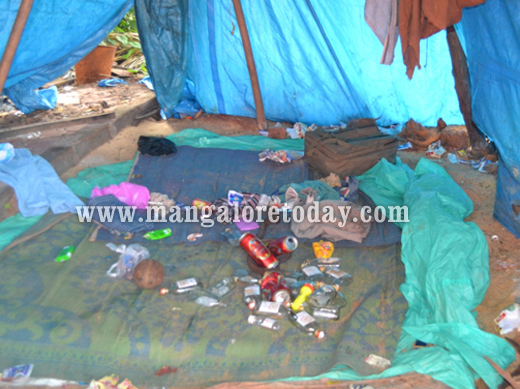 They charged the local police of initially dilly dallying to accept the complaint lodged by the mother of Pramod. An FIR was filed only after Pramod’s father lodged a police complaint. The protest was withdrawn after DySP CB Patil and Circle Inspector PA Diwaker assured to arrest the alleged killers at the earliest. In the meantime, there was tension when some of the protestors entered the tent of the suspects in the case and hurled bottles of liquor which they found inside. The situation was later brought under control after the intervention of local MLA Halady Srinivas Shetty.